Movement is taught by Miss Alvarez.. Sign up to be a one-time or regular movement volunteer by calling or emailing the preschool office. Music and Movement classes for enrolled students are offered weekly, on a rotating basis, beginning in October of each year. If you would like to volunteer to help the Coordinators next year, I am sure they would love to have you - and you will have a great time! ICCS hosts Young Rembrandts Drawing Classes several times during the school year. It is a fee-based after-school program. You may visit a link to their website under the Links tab to the right. 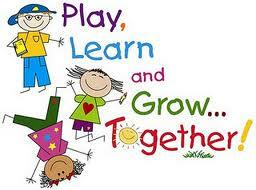 to learn, grow and have lots of fun! self-cofidence, and an overall "I-can-do-it" attitude!